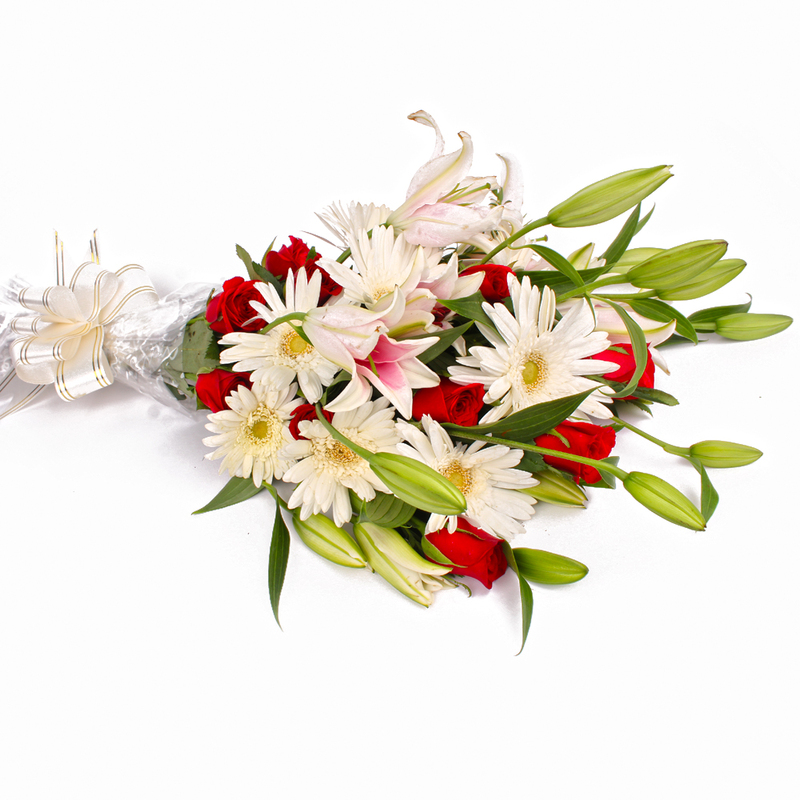 Product Consist : Bunch of 25 Mix Flowers like Red Roses, Lilies and White Gerberas with exotic green fillers in cellophane wrapping with ribbon bow on it. 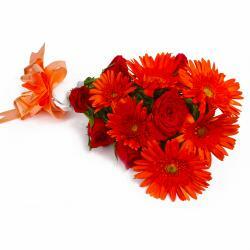 Want to elate your special someones on this Special Day with one beautiful gift item. Check out this special gift item of Giftacrossindia which is all set bring smile on the face of the recipient. 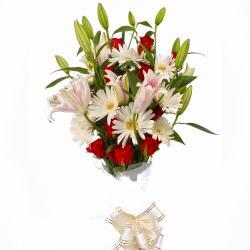 This Bouquet is containing red roses, lilies and white gerberas tied with matching ribbon bow. Flower has meanings as per their color and number. 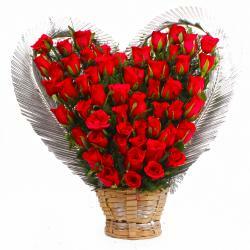 You can gift this beautiful gift item to your wife or girlfriend or anyone you adore. 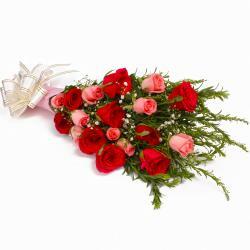 Girls are fonder of flower gifts so this gift item would be perfect for girl s gifting it is suitable to send on Birthday, Anniversary, Valentines day Best of Luck, Durga Puja, Womens Day, Daughters Day, Mothers Day. 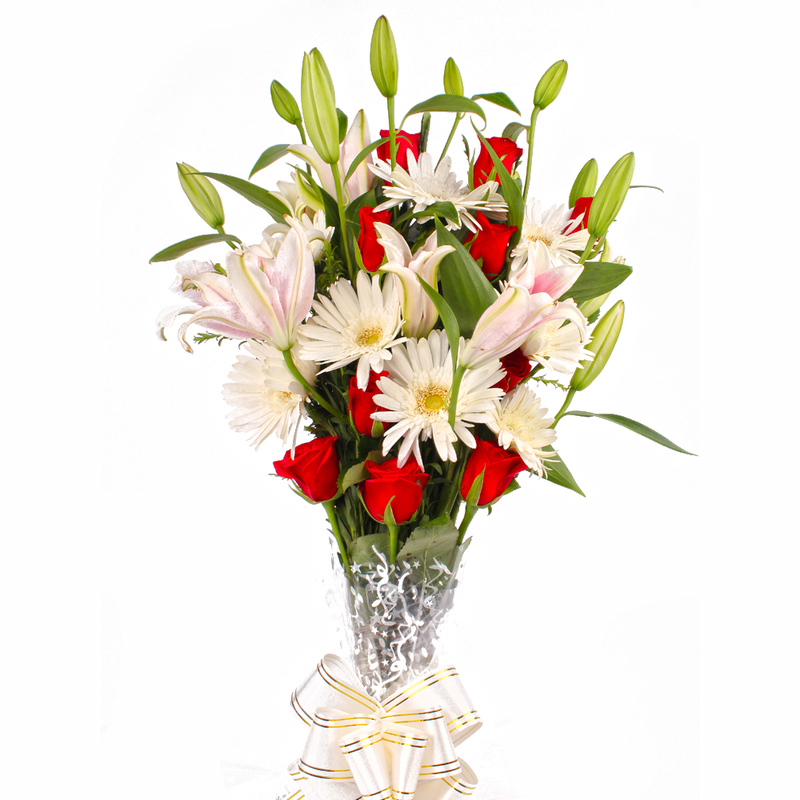 Product contains : Bouquet of 25 Mix Flowers like Red Roses, Lilies and White Gerberas with exotic green fillers in cellophane wrapping with ribbon bow on it.